GetTheSmokeOut.com site Owner Dan Buglio values the privacy and security of the information that you share with us through GetTheSmokeOut.com. It is important that you understand how we collect, use and maintain your information. This Privacy Statement explains our online information practices, the choices you may make about how we collect and use your information at this web site, and the ways you may contact us. We may change this Privacy Statement from time to time. Changes to this Privacy Statement are effective upon posting. Please check back periodically for updates. If at any point we decide to use Personal Information in a manner that is materially different from that stated at the time it was collected, we will notify users by way of an email. Users will have the choice as to whether or not we use their information in this new manner. The amount, type and use of information we collect, depends on how you use this GetTheSmokeOut.com web site. This Privacy Statement applies only to the practices of the TSMP Web site Owner and its employees. The web site will not apply the provisions of this Privacy Statement to Business Contact Information or Aggregated Information. The web site may collect Personal Information from you, but only if you provide it to us voluntarily. We also collect Personal Information that you provide to our suppliers, which they pass on to us so that we can fulfil your order. You must provide Personal Information in the form of a unique identifier (username, password) to enter certain parts of our web site. In addition, in certain situations, such as when a purchaser buys a product as a gift and supplies the recipients’ name and address, we collect the Prospect Information. We collect information that can identify you, such as your e-mail address, name, home or work address or telephone number. We might also collect anonymous demographic information which is not unique to you, such as your ZIP code, age, gender, preferences, interests and favourites. We will only collect this information directly from you. We do not collect or maintain information from children we know are under the age of 16, and no part of our website is structured to attract anyone under the age of 16. If you are under the age of 16, do not share personal information with us. We encourage you to read the privacy statements of websites you choose to link to from our website so that you can understand how those websites collect, use and share your information. We are not responsible for the privacy statements or other content on websites outside of the GetTheSmokeOut.com family of websites. We collect and use your personal information to operate our website and deliver the services you have requested. We also use your personal information to tell you about other products or services available from GetTheSmokeOut.com and its affiliates. We may use Personal Information or Prospect Information for purposes that include maintaining the TSMP Web site, order fulfilment and administration, analytical purposes like accounting, billing and audits and information system management, and other similar uses. We might also contact you via surveys to conduct research about your opinion of current services or of potential new services that may be offered. We do not sell, rent or lease our customer lists to third parties. We might contact you on behalf of our affiliates or business partners about a particular offering that may be of interest to you. In those cases, your unique personal information (e-mail, name, address, telephone number) is not transferred to the them. In addition, we may share data with trusted partners to help us perform statistical analysis, send you email or postal mail, provide customer support, or arrange for deliveries. All of those third parties are prohibited from using your personal information except to provide these services for us, and they are required to maintain the confidentiality of your information. 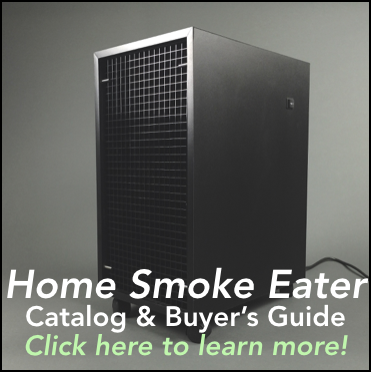 We do keep track of the websites and pages our customers visit within the GetTheSmokeOut family of websites in order to determine what services are most popular. This data is used to deliver customized content and advertising to customers like you when your browsing behavior indicates that you are interested in a particular subject area. If you are concerned that the information we hold about you needs to be updated, please update your subscription details by logging in, or contact us at dan@getthesmokeout.com, setting out what details you would like to have updated. Periodically, we may send you information about our various products and services, or other products and services we feel may be of interest to you. Only the web site (or agents working on behalf of the web site and under confidentiality agreements) will send you these direct mailings. If you do not want to receive such mailings, simply tell us when you give us your personal information. Or, at any time you can easily opt-out of the GetTheSmokeOut.com site marketing list or update your information by notifying us at Dan@GetTheSmokeOut.com. A cookie is a text file that is placed on your hard disk by a web page server. One of the primary purposes of cookies is to save you time. The cookie notifies the web server that you have returned to a specific page. When you return to the same page of the website, the information you previously provided can be retrieved and used by you. If you tick a box asking to remember your password, you are probably activating a cookie. 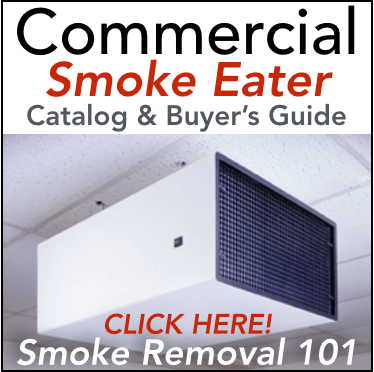 Further, we permit only authorized GetTheSmokeOut.com website employees and third parties to access any Personal Information or Prospect Information that you supply to us. If an employee misuses Personal Information or Prospect Information, we will take disciplinary action, up to and including termination of employment. If any third party individual or organization misuses Personal Information or Prospect Information, we will take action, up to and including termination of any agreement between GetTheSmokeOut.com Web Site and that individual or organization. When you click on a link on the GetTheSmokeOut.com site that takes you to a web site operated by another company, you will be subject to that company’s web site privacy policies. We will occasionally update this Privacy Statement to reflect company and customer feedback. We encourage you to periodically review these terms to be informed of how we are protecting your information. In the event of questions about access to your Personal Information or Prospect Information; our collection, use, management or disclosure of Personal Information or Prospect Information; or this Privacy Statement, contact us at Dan@GetTheSmokeOut.com.